Hello! Riley here, I wanted to write a bit about our experiences at PAX West, while it’s fresh on my mind. 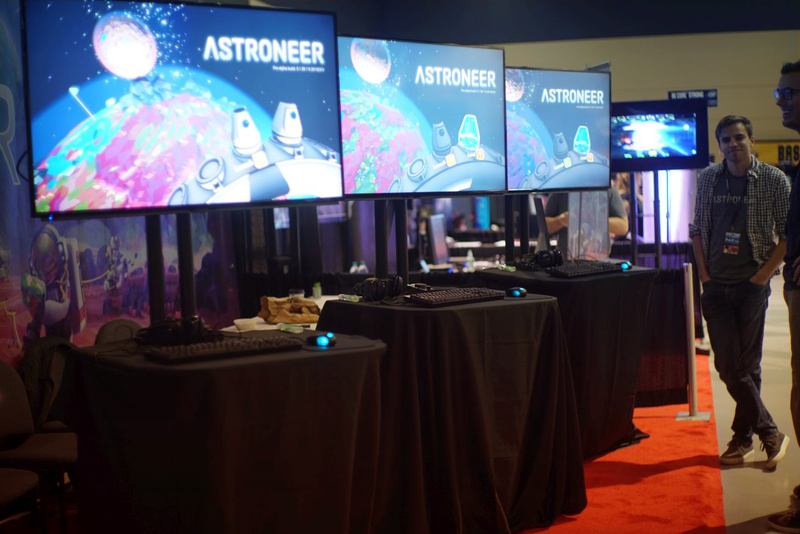 As you may be aware, this past weekend we had a chance to show Astroneer at the Indie MEGAbooth for PAX West 2016 in Seattle. This by far was the biggest presence we have ever had at any event, and all of us at System Era felt that it was the strongest Astroneer has ever been. 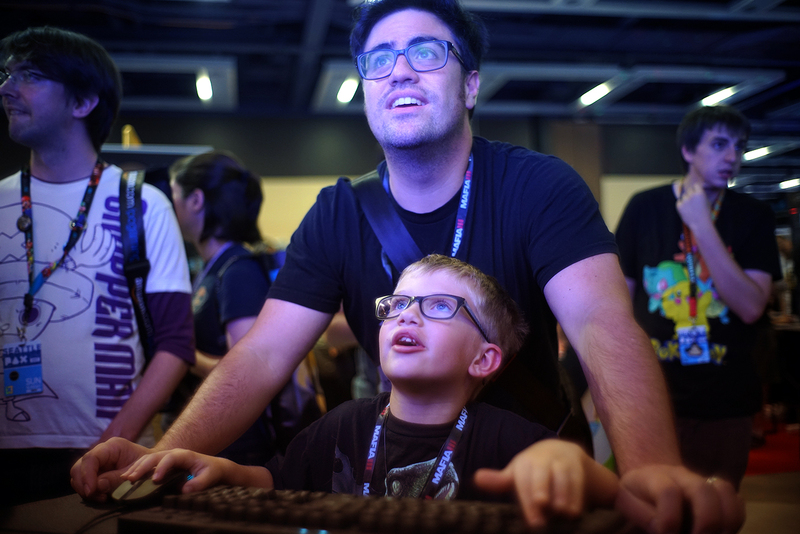 For PAX West we had three stations at the Indie MEGAbooth that were running the game and were linked so that players could play co-operative multiplayer if they wanted to. 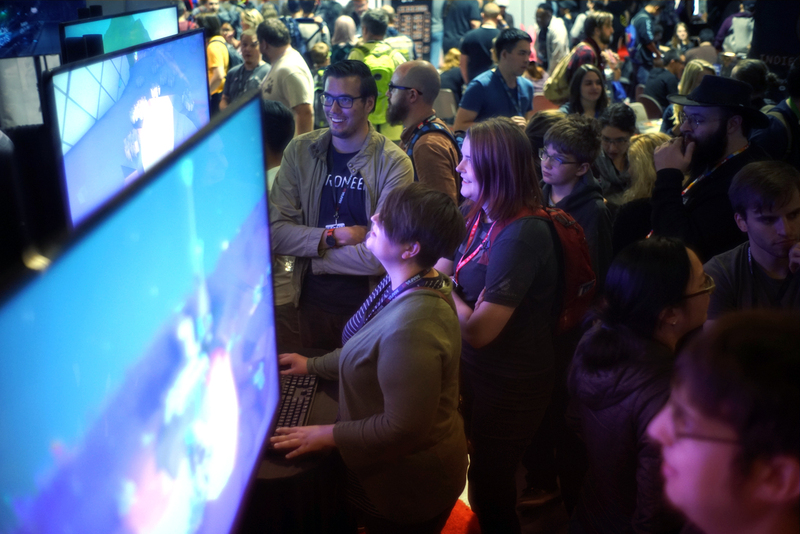 As was the case for PAX East, our booth at the event was sponsored by the folks at Epic – a partner we’re always super impressed by when it comes to their support and encouragement for the game. The PAX West build that we presented and had open to PAX attendees was pretty much just the game. We didn’t spend any time creating a specific demo for the showfloor; there wasn’t any scripted sequences or set pieces. What people played was exactly where the game is heading. For comparison, our PAX East build was a lot more linear and a bit safer. It started the player off in a controlled environment and had many set up situations that players could stumble across. Jacob keeps watch on our booth as we wait for the doors to open, Day 1. There’s a lot of reasons why we attend shows like PAX, probably the most obvious reason is for exposure. We can present the game to a lot of people and get a nice press boost from it as well. We find the most important reason though is to get the game in front of fans and strangers. The feedback we receive from talking 1-on-1 with people is critical to the development of the game. We also see so much value in just watching how people interact with the game. The current state of the game is really fun. I’ve been playing it a lot lately and having a great time with it and I’m not alone. Astroneer was really well received on the showfloor. We seemed to always have a crowd and players would play for very long times. There were a few times I would have to politely kick someone off so that another person could have a chance to play! Terrain deformation continues to be the highlight of the game. For us, we’re so use to the feature that it seems to be normal, but to the average gamer it’s very novel. We’ve updated it quite a bit since we’ve last showed the game and it seems to resonate better than ever. The UX (User Experience) is shaping up to be something special. It’s very snappy and really resonates with players. There’s a few UX things that need to still cleaned up. One example of observing players interact in the game came from the backpack’s printer UI. There are arrows that allow you to scroll through different items and above it is a print button that players should click when they want to print something. We saw quite a few people ignore that button completely and instead tried to click on the hologram of the item. It seems like a small thing, but quality UX is a big part of our goals with Astroneer and making sure everything “feels” good is a big part of that. Visually the game is still striking. We had constant crowds around our booth and the main reason for that was due to the visuals of the game attracting people walking by and stopping just to watch the game being played. Players love to explore worlds and really felt rewarded stumbling across wreckage / artifacts. That is something we’ll continue to push and add things to find before our Early Access release. There are no age requirements for becoming an Astroneer. Single player or multiplayer, our game was played by many in just 4 days. 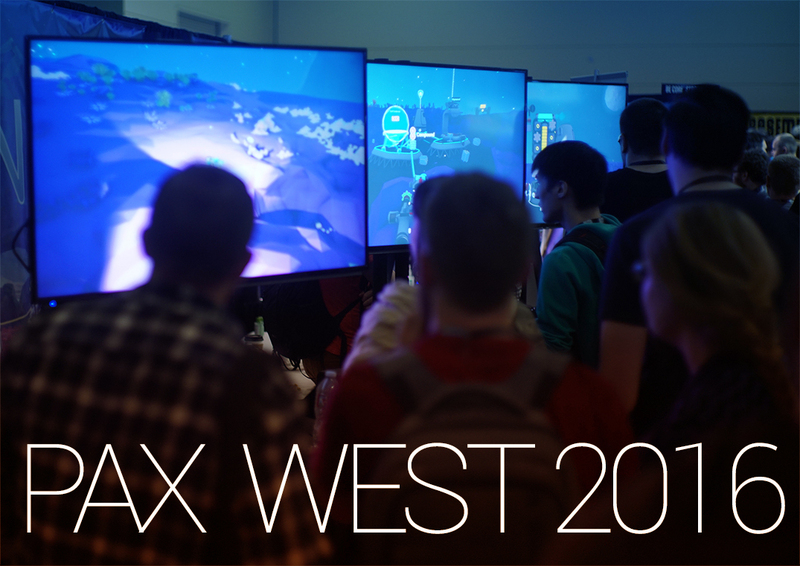 So that was PAX West 2016. We have no other events planned yet, and are just focused on getting the game ready for its Early Access release. For us to do that, we’ll be putting our heads down and really optimizing and polishing the game so that everyone one that has a great Astroneer experience right away. We understand that there have been a lot of Early Access titles that have been release in broken states, but we really want to push what being an Early Access game can mean. In the past we’ve stated that we wanted to do a lot more Twitch streams and Let’s Plays, but there’s been a lot of random circumstances that have stopped us from getting those out to you. Expect more of those in the future! It’s never been our intention to keep you in the dark, and we want to be open with our development process as much as possible. Hopefully with a bit more practice those things will improve! And of course the number one question we are asked is, when will Astroneer be released… The best I can say is it’s something we are actively working on and aim to have news about later this month. In the meantime, be sure to add us on your Steam Wishlist.